Julie was raised in Hobbs, New Mexico and moved to Lubbock in 2002. She graduated from Texas Tech University with a Bachelors of Science in Industrial Engineering, where she was also a member of Kappa Kappa Gamma. Julie is wife to Chad Villarreal, originally from Midland, TX, and mother to son Cole. 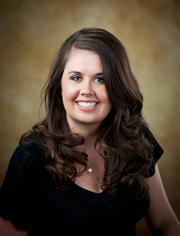 She currently serves as a member of the Junior League of Lubbock and is a member of Westminster Presbyterian Church. Julie’s compassion, dependability, and patience add integrity to her attention to detail and communication skills. It is her goal to provide the best customer service available. Julie looks forward to using her energy, hard work, and enthusiasm to find your perfect home.